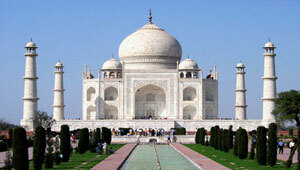 Our Company persons meet you in New Delhi airport and transfer to hotel. 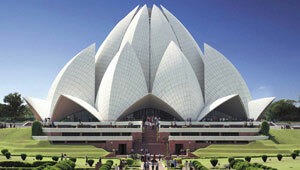 This morning after breakfast you start Delhi tour and you visit Red fort, Jama masjid, Rajghat, old Delhi, India gate Huyuman tomb, lotus temple , some temple in the city and you take nice lunch and dinner in the city and night stay in Delhi. This Morning after breakfast you drive to Agra city ( the Taj Mahal) check-in in the hotel and refresh after you start Agra tour and you visit Agra Fort /Baby Taj Mahal and in evening you see the nice sunset from back sight of Taj Mahal and night stay in Agra. This morning pickup from your hotel and transfer to Taj Mahal and you see nice sunrise in the taj Mahal, enjoy the taj and after beck to the hotel and refresh and breakfast after drive to Ranthambore and night stay in Ranthambore. This morning we provide you jungle tour by jeep, the first tour is 6 am and 2nd tour is 14:00 PM and night stay in hotel. Breakfast & Check-out from Ranthambore hotel and drive to pink city Jaipur (the capital of Rajasthan and after continue drive to Jaipur & check-in in the hotel and night stay in Jaipur. 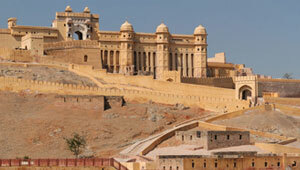 This morning we visit world famous amber fort and there you also enjoy the elephant ride and after we visit water palace, city palace, wind palace and some local area and monkey temples and Night stay in Jaipur. 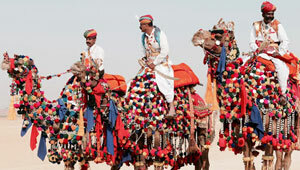 Check-in in the hotel and after we provide you camel tour in Pushkar and you see the city by camel and night stay in Pushkar. This day you drive back to new Delhi and drop you at airport.